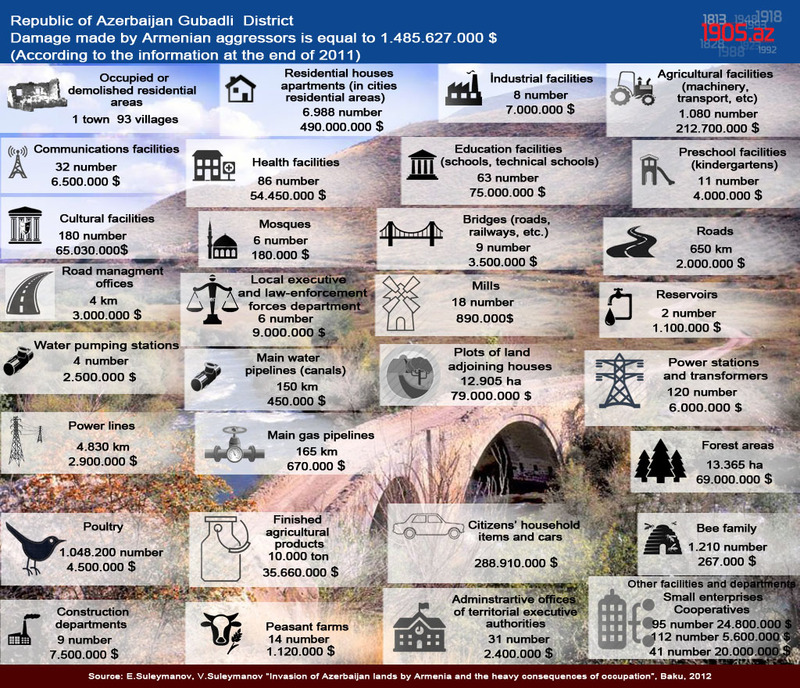 The Christian monuments of Azerbaijan have always been subject to fraud by the Armenian clergy and the science they use. The Armenian Church, which had been struggling with the Albanian Church for centuries, planned to subject it and then eliminate it. Part of this policy was the destruction of Albanian manuscripts and epigraphy. 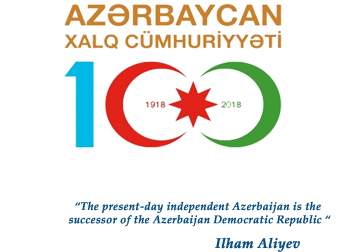 The Christian architectural monuments of Azerbaijan do not contain Armenian epigraphy until the 11th century (unless modern stone dressers have had a chance to carve new “ancient” Armenian inscriptions on monuments in the occupied territories). Earlier Albanian inscriptions were erased after the Albanian Church was placed under the jurisdiction of the Armenian Church by the Russian Synod in 1836. The existence of Armenian-language epigraphy and historical sources written after the 11th century testifies only to the religious affiliation of the writers, not their ethnicity. From 1975-76, during the construction of the Amassia-Qazanchi road, the official Armenian authorities flattened an ancient cemetery, which the Azerbaijani population of the village of Gollu (Lakeside) in Amassia district considered to be Christian, because of the crosses and inscriptions carved on tombstones, which were not like Armenian crosses or letters of the Armenian alphabet. Specialists and Armais Harutyunyan, head of the Propaganda Department of the Amassia District Committee of the Communist Party, removed the human remains from the graves and studied their anthropological characteristics. After a while, the tombstones were completely destroyed and razed to the ground. 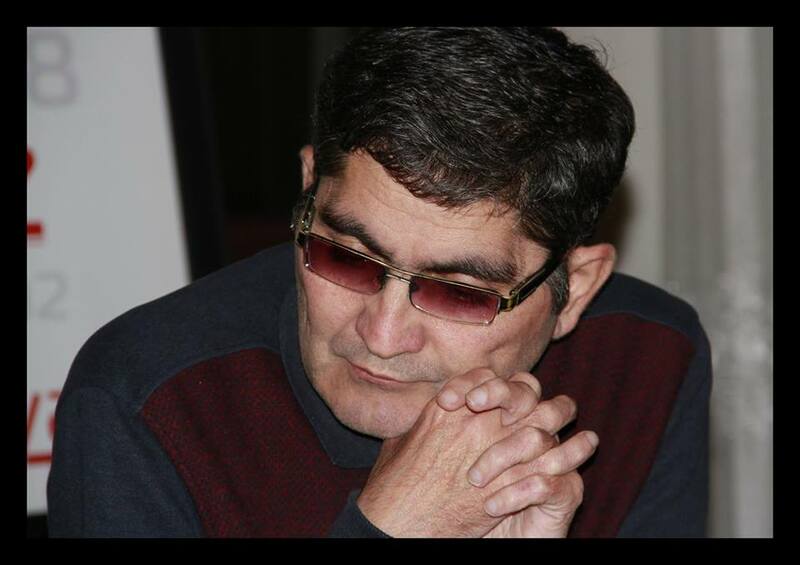 Asked by local residents why they were destroying the graves of their ancestors, Harutyunyan answered that they were believed not to be Armenian graves. That is how they obliterated traces of the non-Armenian Christian population of Albania. The Christian architectural monuments of Azerbaijan, including Karabakh, speak for themselves, and their ethnic and cultural provenance is proved by works of the Albanian historians Movses Kaghankatvatsi and Kirakos Gandzak. They are monuments built by Albanian kings and princes. Among them are the ruins of early Christian churches erected by King of Albania Vachagan the Pious, who, according to Movses Kaghankatvatsi, built as many churches as “days in the year”. Many monuments were built by Prince Javanshir. These were built in the 12th-13th centuries, the heyday of the Albanian principalities, among which Khachen was prominent. A representative of this branch, Hasan Jalal, was able to unite Albanian principalities within a short period and achieved the title of King of Albania. The Ganjasar temple he built became the centre of the Albanian Catholicosate. The Khudavank monastic complex was built by the Albanian Khachen prince Hasan the Great, his son Vakhtang and his wife Arzu Khatun – the daughter of “the Grand Prince of Princes of the Kurds”. Saint Elisha’s Monastery bore the name of the enlightener of Albania. It has existed since the reign of Albanian King Vachagan the Pious, and one of the chapels holds his grave. The Khatiravank funeral monastery was built as the tomb of another Albanian royal family. 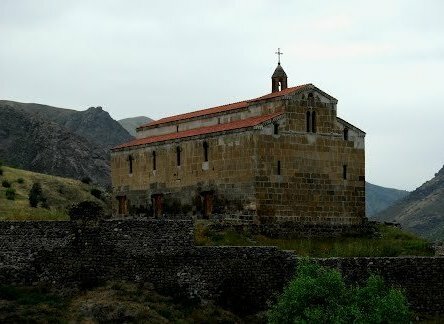 The history of these and other monasteries and churches of Karabakh is closely linked to the history of Caucasian Albania, from ancient times to 1836 when the Ganjasar Catholicosate was abolished. Their founders were Albanian rulers and princes. Their names speak eloquently of their ethnicity. 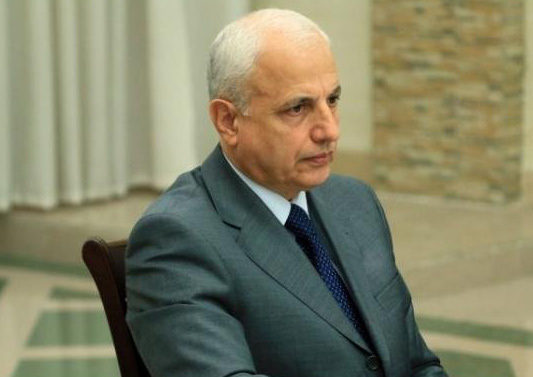 The Armenian researcher S. Lisitsyan was forced to admit that “judging by the names of the modern monasteries of Nagorno Karabakh, the activity of purely Armenian saints was feeble here”. Even in the 20th century, after the Armenianization of the Christian population of Karabakh, purely Armenian saints were not revered here. 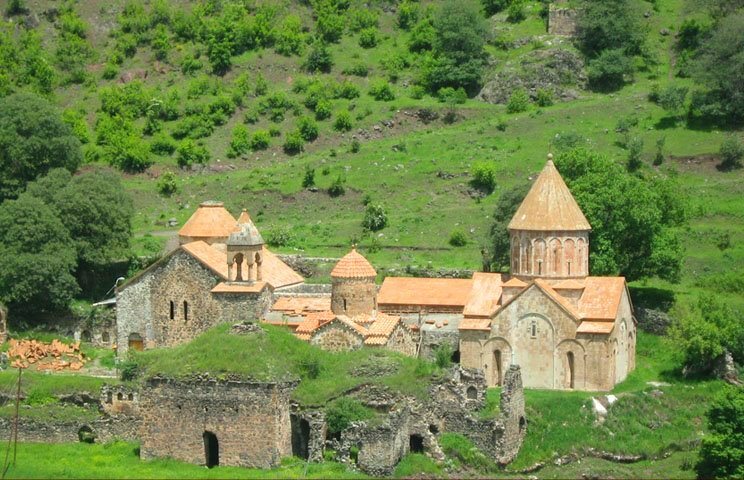 Naturally, in earlier centuries, monasteries and churches dedicated to Armenian saints did not exist in Karabakh. Albanian monasteries and churches were dedicated to other Christian or local Albanian saints, which distinguishes them from the Armenian ones.